What’s the main thing digital marketers focusing on content marketing would like to achieve? Easy. It’s getting their content read, liked, shared and spread throughout the digital landscape by targeted readers and audiences. However, you need to be realistic about it. That kind of perfect scenario will only take place if you have great content – if you have epic content. These are the kind of content internet users truly value: because they get the information they need, are entertained deeply, or were compelled to take action that would make a difference in their lives. 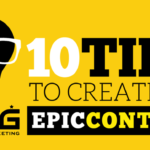 Epic contents are game changers – and more and more digital marketer are getting to know this for a fact. 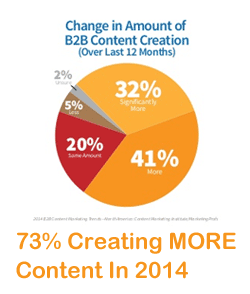 The 2014 Benchmark Study from the Content Marketing Institute highlighted that up to 73% of B2B marketers have realized the importance of content and are taking active steps to produce more content this year and the next. All these took place because of epic content – and the following tips will teach you how to create one on your own. 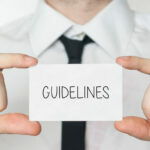 An article that is technically well-written because of choice of words, sentence structure, grammar and other similar aspects, may not elicit the same kind of interest and response that you would expect. Many would not even remember what brand or website that particular content represents. What you need is to spice it up with other elements like a branded theme and some interesting content templates that work. One way to create a branded theme is to integrate items or topics of interests with information that people would like to know more about. A content provider on financial literacy topics for example could make them more fun and interesting by carefully integrating or weaving his interests on fitness and health. Writing epic content this way could make them more interesting but be careful in considering if such styles of content presentation will be appropriate for your targeted audiences. Studies show that longer posts are actually better in generating engagement and epic posts are usually written with at least 2,000 words. These studies include the SEO Ranking Factors and Rank Correlations 2014 from Searchmetrics which highlighted the correlation between ranking and the number of words in the content’s text. The number of words also indicate a good correlation between these numbers and the ranking of website in search results. Reading through hundreds or thousands of words can be quite taxing, which can get readers bored, lost interest and abandon reading altogether. Eye candies include great graphics, awesome photos, and though-provoking videos that can break blocks of text and attract targeted readers attention. These will be discussed in greater detail in later sections. Bullet points are an easy-to-understand system of presenting data that provide targeted readers with insights on what your website can offer and if these items are relevant to their needs. Quotes from real people are great tools for driving certain concepts and keypoints nailed to the head. Although quotes come from another person and you are just technically borrowing it, the use of quotes further increases the authority of your site or your brand. Events that occur year after year without fail can be used as leverage for creating epic content. These include holidays and other special days people want to read about before, during, and a few days after the event. Although the events themselves are not new, you can present or focus on fresh information and other key elements that will attract your targeted readers’ attention. Current events and other breaking news stories are tidbits of information targeted audiences would love to partake in. You can monitor trending news stories for the juiciest news items that the application will provide, allowing you to choose what you can expound more on your epic content. 5. Be Spicy. Be Edgy. Be Controversial. 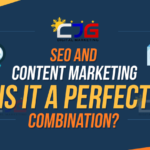 Epic content is not your ordinary fluff and other keyword-drenched stuff traditional SEO and content marketing are used to doing. Epic content is not afraid to challenge traditional beliefs and would go against the flow to prove its key points right. Epic content puts its audiences on the edge and may even generate controversy or outrage – for it is through such types of content that gets your brand at the focus of attention. Getting attention generates a following, and following breeds loyalty. There is an overly abundance of content flooding the virtual waves. Add to this the natural attribute of humans for having short or limited attention spans, and it would be doubly difficult to overcome the squalls and grab the attention of your targeted audiences. An epic content however can overcome these walls and catch their targeted audiences’ eye with one surefire ingredient – curiosity. People who gets intrigued and have their curiosity effectively tickled will surely want to know more and digest more of your content. The catalyst however is to generate curiosity through electrifying headlines. There are many ways great headlines that grab targeted audiences’ attention can be written and executed. 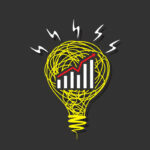 Resources are available and these can be shared later in future posts, but learning how to create electrifying headlines is an essential element in creating epic content. SIX sub headings or enough to cover the length of your article, with each subheading using alternatives for your main keywords. ONE topic to focus on, with more specific information about the topic expounded within the content, and…. TWO actionable tips that readers can execute after reading and digesting your epic content. A lot of people suffer from various kinds of problems, from mundane to life threatening, and many go the Internet to seek help in providing for an ultimate solution to their particular problem. If your content can empathize with the pain these people suffer, whatever the nature is, and provide tips and suggestions that can help provide a solution to the problem – it can gain the right to be called epic. The first step is to first identify a problem or find some form of discontent that several internet users can identify with and are actually experiencing in their lives. Epic content is developed by looking for information that can provide solutions to the discontent and ultimately the problem. The best kinds are those derived from real life experience, particularly examples that can actually show how they personally managed to overcome the problem – and let people learn how to achieve the same. It will be hard for ordinary text content to achieve epic levels without the enhancements awesome images, incredible videos and relevant links can bring. Images and videos add value to the text content and explain concepts in visual form that are much more understood by targeted audiences. Studies show that posts can generate up to 180 percent more engagement if they are enhanced by the addition of videos, pictures or picture galleries. The SEO Ranking Factors and Rank Correlations 2014 from Searchmetrics highlighted that higher rankings can be achieved by posts with more number of images or pictures. Just make sure that you don’t just include random images that are not even relevant to the message your content is saying. Don’t add image just for the sake of increasing the number of images but to enhance your text content for better appreciation by your targeted audiences – and make them epic. Mobile internet is huge and more and more users are joining the fun, ushered in the proliferation of various kinds of mobile devices and Internet-enabled gadgets. Epic content takes this into consideration and is configured for optimum viewing with mobile devices – in terms of text content, visual enhancements and ease of social bookmarking and sharing. 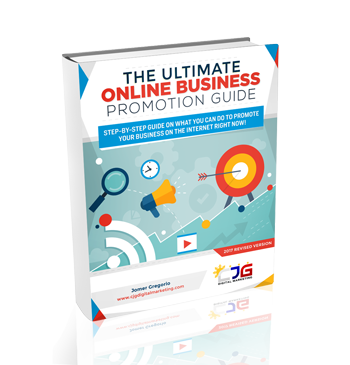 If you want your brand remembered by your targeted audiences, then you must have a good number of Epic content proliferated in various sectors of the online world. Just like the great legends and epics of old that survived the ravages of time and still loved by millions around the world, epic content can bring your brand to such levels – and have your name etched in virtual epic glory for years to come. I love the 6-1-2 technique. While I have not directly try it, I did incorporate some of the elements in my writing. The results seems good and going to try the full 6-1-2 in the coming articles. *PS I think this is very common since I see some bloggers are using this technique. Reginald, Thanks for the comment. Those bloggers are probably using them. My favorite part is the 5th one. Be Spicy. Be Edgy. Be Controversial. Most viral (or epic) contents usually have one or more of these elements. Bloggers around the globe ought to create an epic article while some just stick with 500 to 1000 words. Epic content articles could drive readers to stay longer if they discover it interesting and time worthy. We will take note that “Longer posts are actually better in generating engagement and epic posts are usually written with at least 2,000 words.” this take away will steer them and jog their memory to always give the right value to the audience or readers. I also like the idea of “3. 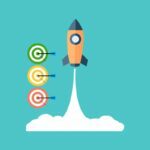 All-time Favorite Content Elements” using quotations, eye candy, and bullet points are simple yet awesome strategy to use. Nice article all in all and informative. This is something worth reading. Thanks for the comment. Usually I think people want longer indepth content to satisfy their needs. I think that’s why the study we cited concluded that the content needs to be atleast in the range of 1,000 words. 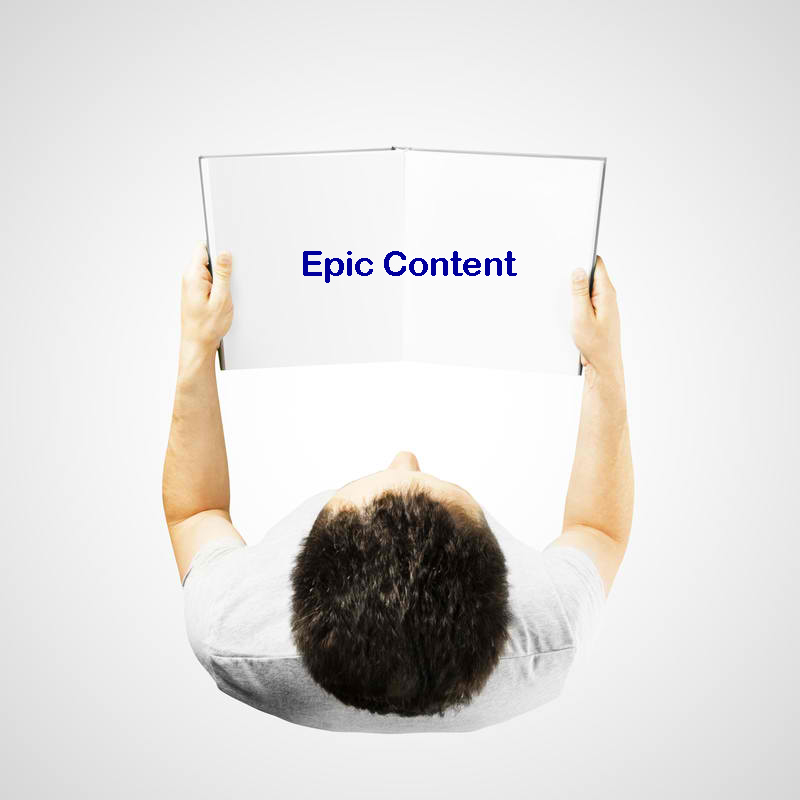 Epic content must solve readers problems and provides their need. That is the purpose of sparing time to searching and reading. Absolutely AceClue. There’s no other to create an epic content but by solving other people’s problem or satisfying their search intent. This article is an “epic” content! Highly informative and instructive advises have been shared. The 6-1-2 formula of writing epic content grabbed my attention. Never heard of it before now, and I think it makes sense. Yes, with this formula it becomes easier to concentrate on the expansion of a topic in volume and quality. By the way, I not too clear about the explanations on incorporating brand theme or template into the post!